Physicians prescribe Adderall for narcolepsy and ADHD, but Adderall users can quickly find other reasons for taking this drug. Adderall is a stimulant, and it works very well to keep people awake for several days at a time so that the user can accomplish many goals. For example, when students need to study for their final exams, they can stay up all night after taking Adderall without difficulties. The problems begin when the drug wears off and they need to sleep for days at a time. Staying up for several days and then sleeping for several days makes it impossible for Adderall addicts to remain on a daily schedule, and their school or work suffers. Another problem is that people can experience side effects when taking Adderall that grow worse when they are taking too much of this medication. Some of the side effects that addicts experience are tics, hallucinations and hostility, and they lead the addict toward a very dangerous medical situation. The answer to this problem is a rehab treatment center that helps those addicted to Adderall fight this addiction and live their lives normally again. Who Is Likely to Become Addicted to Adderall? Don’t let Adderall addiction ruin your life. Adderall is a popular drug used to treat ADHD in childhood. Not surprisingly, many teenagers become addicted to this substance as they grow older. Adderall has the effect of relaxing children who are diagnosed as hyperactive, but something different occurs when they reach their teen years. The medication begins to stimulate the teens’ systems, and they fail to inform their doctors because they find the feelings to be pleasurable. These teens may even introduce their friends to the wonders of Adderall who were not taking the medication before. Adderall stimulates the heart, and this can cause arrhythmia, other heart issues, stroke or seizure if the addict takes more than is prescribed in a short period of time. Those who continuously take Adderall for a long time also are in danger of experiencing the symptoms listed above. Adderall addicts might also be taking other drugs, such as cocaine, ecstasy and marijuana. If Adderall addicts are taking Adderall along with another substance, the possibility of overdose is high. People who believe that they have an Adderall addiction can find help for their problem at a rehab treatment center. When they enter the rehab center, they will first need to detoxify their systems. They will be able to participate in counseling after detox has been completed so that they will learn how to conduct their lives in a normal manner without needing to take a stimulant to accomplish their goals. People have the choice of an inpatient or an outpatient treatment program, but a live-in situation is more conducive to a successful result. People addicted to Adderall may find it to be highly difficult to stop taking the substance without help. Rehab treatment centers exist just for this purpose, and the professionals at these centers perform their duties in a non-judgmental manner as they help guide the patient through the detoxification process and lead them on to counseling and aftercare. Rehab treatment centers accept many forms of insurance. They also offer financing solutions that their uninsured patients can afford. Cost will not prevent people from getting the help they need with their Adderall addictions. 10 Adderall Addiction Withdrawal Symptoms You Can't Miss - Recovering from an addiction to Adderall is possible! It will not be without cravings and withdrawal symptoms, however. Knowing what they are will help you be prepared. 10 Commonly Overlooked Signs of Adderall Addiction - Adderall addiction has a number of side effects and consequences. Recognizing addiction can be tough, but these signs will help you identify a problem. 10 Signs Your Adderall Use Is Out of Control - Learn the warning signs of Adderall abuse so you can seek the treatment help you need. 5 Benefits of Getting Help for Adderall Addiction - Despite its important medical uses, Adderall is an addictive stimulant drug. If you find that you're losing control of your use of the drug, getting treatment can be a great help. Adderall Addiction Symptoms - Whether taken illegally or legally, Adderall is an addictive drug. Recognizing the adderall addiction symptoms will help you get the treatment you need, as addiction is dangerous to your health. 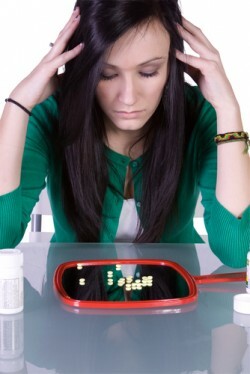 Do I Really Need Treatment for Adderall Addiction - Abusing and misusing Adderall can led to addiction. Though they are often seen as safe and commonly used pills, Adderall is made from amphetamines and is an addictive stimulant drug. Is Adderall Overdose Deadly? - Adderall overdose can cause numerous health complications including heart attack, stroke, coma, and seizures. Treatment Options at Rehab for Adderall Addiction - Therapy in a group, individual, and family setting is a main component of recovery programs for Adderall addiction.